View topic - [Hacks competition 2019] Azled in Fantasy World by ian, Calindro, Nicole Marie T - Forums - SMS Power! 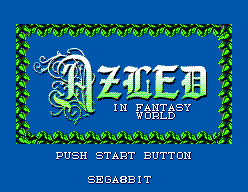 Azled in Fantasy World is an action-adventure / RPG game, created using KiddEd. It uses a modified version of the Alex Kidd in Miracle World game engine. The game is stil very incomplete but there are plans to implement further features and level design. 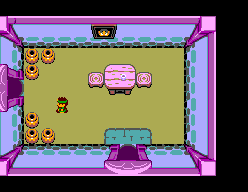 The story is a prequel to the events of Alex Kidd in Miracle World. Set on the planet Aries, you play as a boy named Azled. You have been sent on a quest to locate the Sun Stone and return it St. Nurari at the top of Mt. Eternal. Created by Ian. Support by Calindro. Original music by Nicole Marie T.
It's a very interesting perversion of the Alex Kidd engine, but it seems a little rough around the edges as a result. There's not much of a game here yet, but as a prototype it's very promising. I'm looking forward to seeing how this game develops for sure! Interesting entry. I had fun playing it. Thanks for the feedback. The engine definitely needs some fine-tuning but I think the potential is there to see. 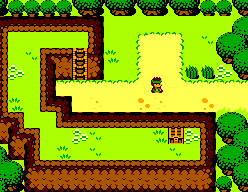 When the engine is fully finished, KiddEd is going to make creating RPGs a doddle! Nice work - my kind of game... can just walk around the playing field exploring stuff... does fire1 do anything? If not then my only suggestion for future development may be to wire up to double time so player can walk faster esp. in spacial areas with lots of grass to get where he wants to go quicker - similar to "The Castle" - just a thought. Again, nice work! Although not a complete game, this is a new show of the versatility of the Alex engine. I want a game like that for the Master System!